Dome Valley Raceway has released the details on the upcoming 2nd Annual October Showdown at the Wellton, AZ track. Links are listed below for the track Newsletter, Pre-Registration Form, and Race Flyer. For more information on this event, contact Mike at 928-941-0335 or Ernesto 928-503-9675. 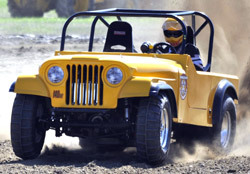 Atoka Motorsports Park in Atoka, OK continued on with their 2011 point series on August 13. This event saw some great racing. Young Gage Moore took his first Pro 1 Cars victory in his Bad to the Bone Dragster defeating points leader Darwin Beck in the final round. Rick Lovelace took a big win in the Pro 1 Quads class over Kirk Whitlow. Both racers made big steps forward in the points hunt with only one race to go before the championships are decided. The 2011 point series finale for AMP is coming up on September 10. Rounding out Atoka’s 2011 season are the Fall Fest on October 8 and the TE Shootout on November 12, both non-points events. 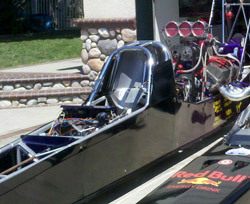 Here is a sneak preview of the newest Top Fuel team to hit the sand. Frederosa Racing’s Shane Sanford has purchased the Team Extreme Racing operation of Charlie Brown Jr. Shane will be making the step up to the Top Fuel in a brand new chassis that Charlie had put together, but had not seen a race track yet. Lots of new parts and pieces are in place to make this team a contender right from the start. Shane’s daughter, Ashley will wheel the team’s Top Alcohol Dragster with Dave McWilliams doing the tuning while long time Frederosa Racing crew chief Troy Schweers moves over to head up the Nitro effort for the newly renamed Frederosa’s Team Extreme Racing team. Lucas Oil & Red Bull are continuing their long time support of Frederosa Racing as their program continues to expand. Shane plans on making his initial hits in the car at the upcoming Dome Valley Raceway Test and Tune at the end of August while planning a competition debut at the Soboba Casino October event alongside his daughter, who will compete in Top Alcohol at that race. Shane shared with NSDN some photos of the new operation. Click “Read More” to view these photos. NSDN marked a first as we headed to Holland, MI for West Michigan Dirt Drags Inaugural event at the Ottawa County Fairgrounds. 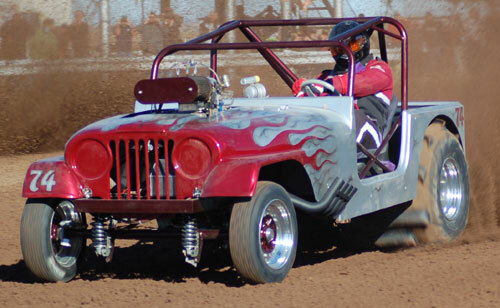 This is the first event NSDN has covered that was not the traditional 300’ sand drag track. WMDD ran this event over a unique 150’ course in front of the Grandstand at the fair. With this event happening during Saturday night of the Fair, a great spectator turnout showed up to watch as many of MI’s best sand drag racers raced in this unique format. The Pro Truck Nationals (PTN) series held their 2011 point series finale at West Michigan Sand Dragway in Mears, MI on July 15-16. This race lived up to all the hype with some of the best racing seen anywhere all season, and amazing point series finishes. Check out the great photos in this recap by our friends at Lonestar Graphics. Gary & Michelle did a superb job at this even capturing all of the action. To view all of their photos, go to www.LoneStarGraphics.com. 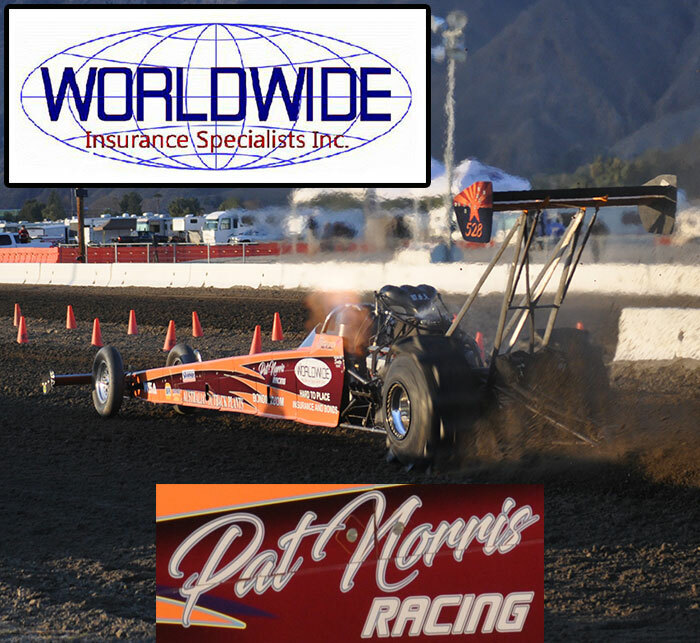 Dome Valley Raceway is holding an Open Test and Tune on August 27. This Test and Tune will start at 6PM. DVRW has upgraded their Portatree timing system equipment and added scoreboards. For more information on this Test and Tune event, contact Mike at 928-941-0335 or Ernesto at 928-503-9675.